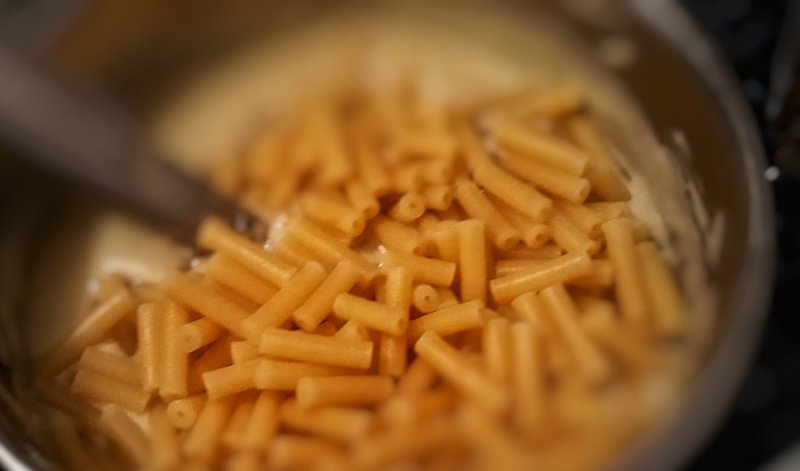 Upon the table was an immense dish, and in the dish was the biggest Twelfth-cake that the eyes of childhood had ever beheld. It was a positive monster, and whitened sugar of the most approved kind encrusted it all over. Twelfth Night, on the fifth day of January, is on the last day of Christmastide and was once the party highlight of the twelve-day long festival. In fact, Twelfth Night used to be the big day where gifts would be exchanged, and folk would make much merriment, very aware of the austere months ahead of them. All of this, including the cake, has moved to Christmas Day, of course. The focal part of the Twelfth Night side-table was the elaborately-decorated Twelfth cake, essentially a rich fruit cake containing brandy, covered in a layer of rock-hard royal icing, the top groaning under the weight of sugar figures and other intricate sculptures and piping. Inside each Twelfth cake a large dried bean or pea would be baked; on the big day those who discovered them would be proclaimed king or queen for the rest of the day. 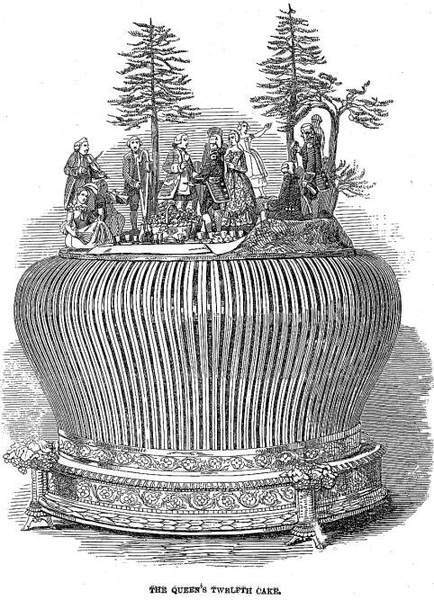 Some Twelfth cakes were extremely expensive, and every baker or confectioner in the land worth their salt would produce a breath-taking, awe-inspiring shop window filled with cakes of differing sizes, all covered in wonderful sugar-work. There was huge competition between confectioners to produce the best displays; and no wonder, selling any number of these bespoke cakes meant some real money had been made that winter! Many people, of all ages and conditions, – young and old, gentle and simple, giddy and thoughtful, – stepped every hour to look through the large plate-glass window, and see the grand show of Twelfth-cakes. 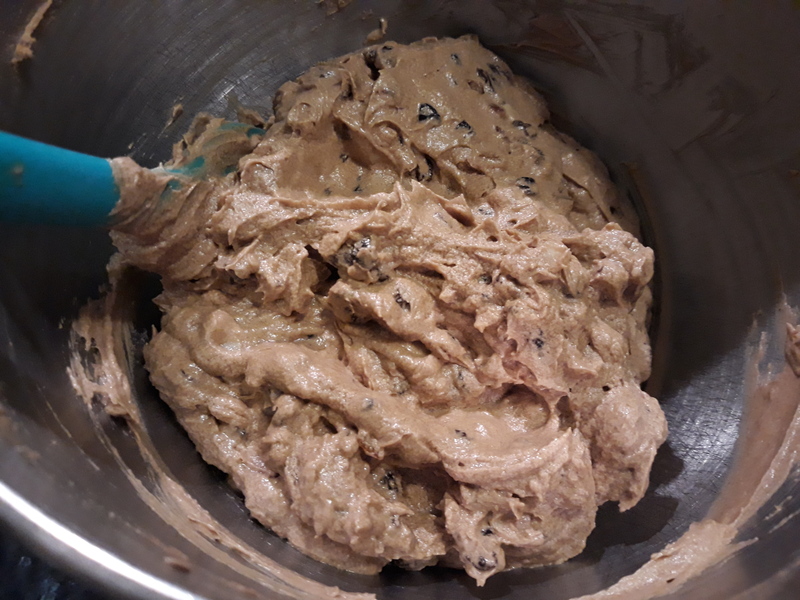 The Twelfth Night cake began life – like many traditional cakes did – as a yeast-leavened bread, enriched with dried fruit and ale (see also Simnel Cake). 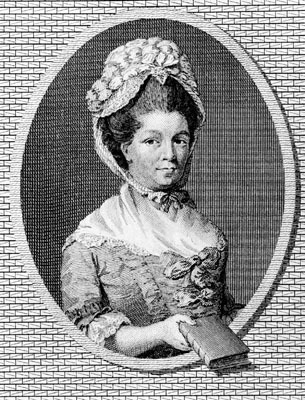 Over time, the cakes were enriched further with brandy or rum and sugar, giving it a close texture. Eventually, chemical raising agents were used to give the batter a lift. Take a peck of flower, and fower pound of currance, one ounce of Cinamon, half an ounce of ginger, two nutmegs, of cloves and mace two peniworth, of butter one pound, mingle your spice and flower & fruit together, but as much barme [the yeasty froth from the top of fermenting beer barrels] as will make it light, then take good Ale, & put your butter in it, saving a little, which you must put in the milk, & let the milk boyle with the butter, then make a posset with it, & temper the Cakes with the posset drink, & curd & all together, & put some sugar in & so bake it. I would love to have a go at this recipe at some point. 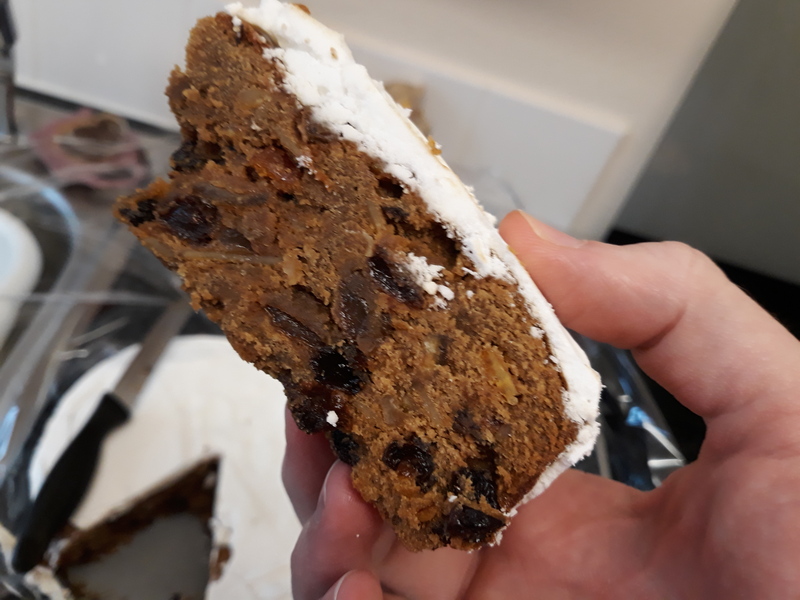 Twelfth Night cake has declined in popularity since the invention of the Christmas cake (which, incidentally, is a hybrid of a Twelfth Night Cake and Simnel Cake). Here’s the recipe that I use, which is slightly different to my Christmas cake. Notice that there are no raising agents used – I like the close-texture it gives, if you disagree, add a teaspoon of bicarbonate of soda to the flour to give it a little lift. I don’t decorate my cakes elaborately, preferring as thin a layer of icing as possible, so I use half a batch of royal icing, but if it is your thing, you might want to make a little more! Line and grease an 8-inch cake tin and preheat your oven to 160°C. 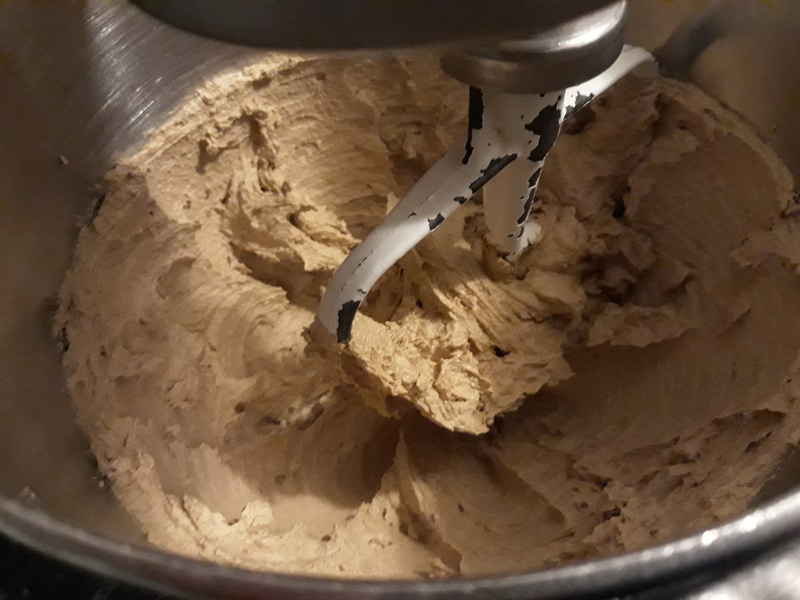 Cream the butter, treacle and sugar until pale and fluffy and beat in the eggs one by one before gently stirring in the flour and spices. Once incorporated, mix in the fruits, peel and nuts and stir in the booze (or milk). Pour into the cake tin, pop in the king/queen bean, level off the top and bake for an hour. Cool in the tin. Decorate the cake with the royal icing, being as elaborate as you like. It’s medlar (aka openarse) season at the moment, and I thought I would try the recipe I mentioned in the medlar post from last year. 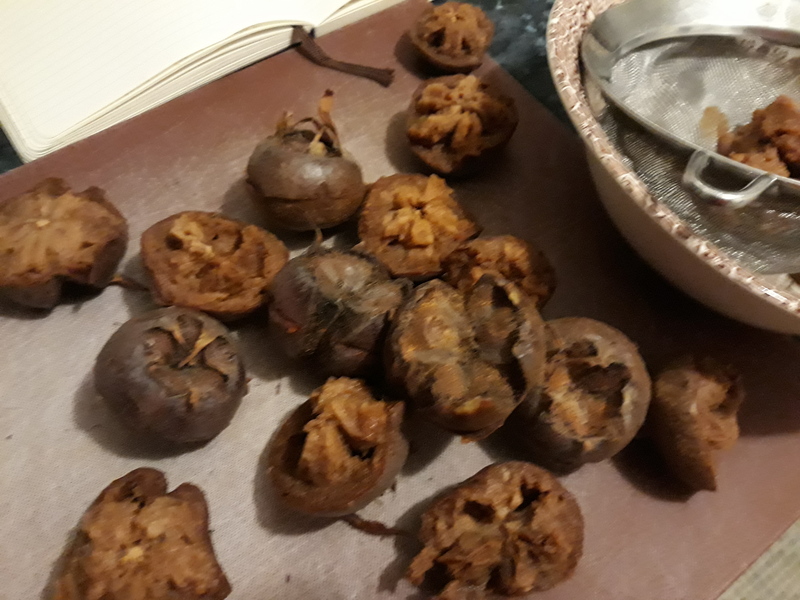 There’s quite little to go on with medlar preparation in books and the internet as people don’t really eat or cook with them these days, beyond medlar jelly, so every year, I learn a little more about eating and cooking them. This year I have been more patient and waited for them to get fully-bletted. Medlars are a strange fruit in that they cannot be eaten until they have gone very dark, ripe and soft, a process called bletting. Any other fruit would be thrown away in this state, but medlars are unique because they go from sour and astringent to a tart, soft date-like fruit. They can be sliced in two and the soft flesh can be squeezed or spooned out. Within there are 5 large seeds, so you have watch out for them. Take medlars that be rotten and stamp them. Then set them on a chafing dish with coals, and beat in two yolks of eggs, boiling till it be somewhat thick. Then season them with sugar, cinnamon and ginger and lay it in the paste. Back in Tudor times (Elizabeth I was on the throne when the book was published), sugar was not always as refined as today, so to replicate this I used soft light brown sugar. I decided to use rough-puff pastry as my ‘paste’, as it was often used for the more delicate desserts and posh pies. 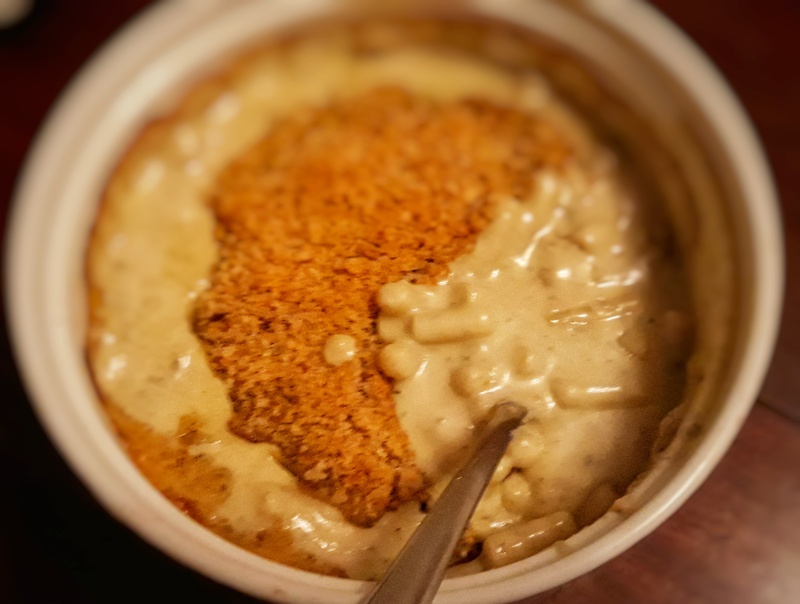 I changed the method slightly and instead of thickening the medlar mixture in a pan, as you would for pouring custard, I put the uncooked mixture into the case and baked it in the oven. I did have a look for other recipes and found that things like butter, nutmeg, candied fruit or citron, sweet cider and musk powder (that final one might be a little tricky to source) were all added merrily. 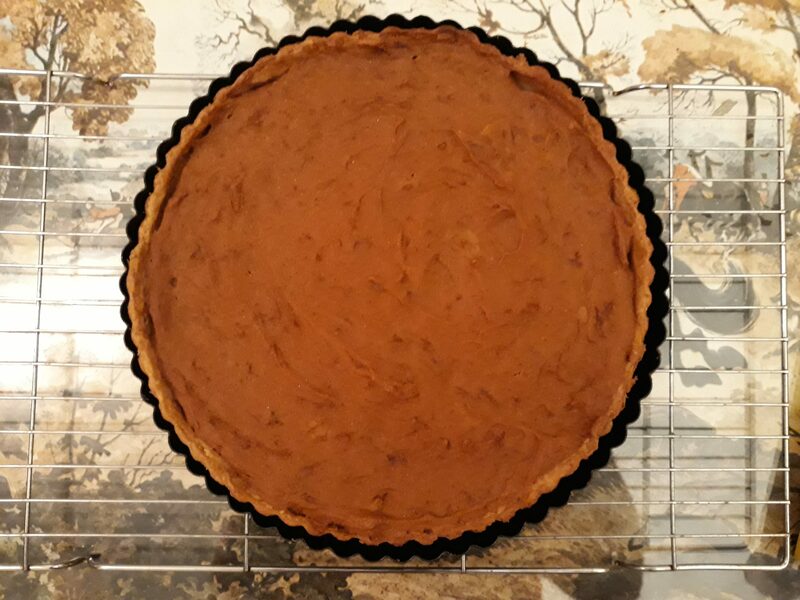 This tart is very good indeed, evocative of the American pumpkin pie. I would certainly give it a go should you happen upon a medlar tree. Cut the medlars and twist in half widthways, as you might do with an avocado (except there are 5 pips rather than one large one). Scoop or squeeze the soft flesh into a bowl, removing pips as you go. 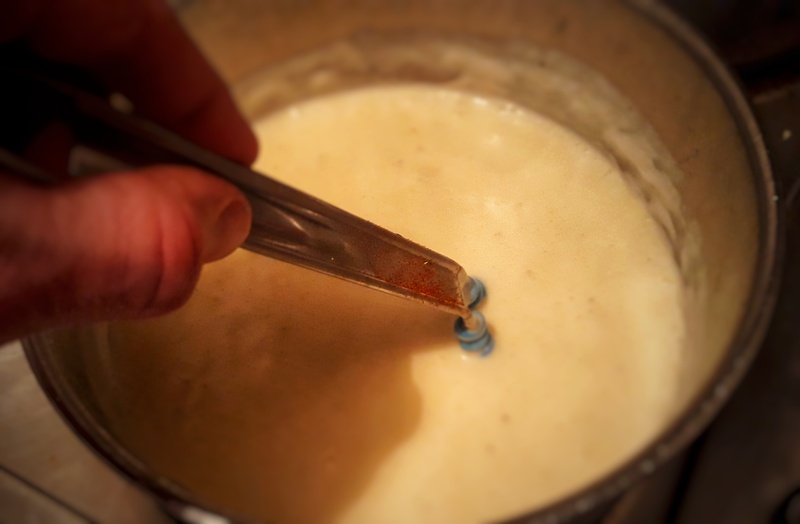 I tried to pass the squeezed flesh through a sieve, which was a little tricky and boring but realised quite quickly that I wasn’t patient enough and decided instead that the flesh was smooth enough straight from the fruit. Beat in the remaining ingredients and spread the mixture over the pastry case and bake for 20 minutes at 175°C. Eat warm with thick cream. Hello there folks, just a quick post relating to my previous one about Alfred the Great burning the cakes. As I was researching it, I came across a fungus I had not heard of before called King Alfred’s cakes. Regular readers will know that I like to go on a good forage and that I like to post about the food I find out and about. The King Alfred’s cakes fungus, although I had not heard of it, is very recognisable to me because it is very common across the United Kingdom any time of year. 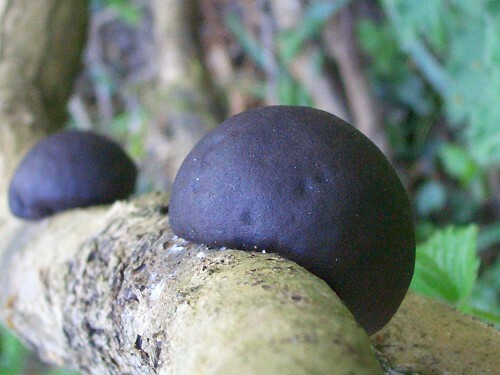 The black spherically-shaped fruiting bodies are not edible, but they do look a lot like burnt balls of dough, I’ve seen them all over the place, but never bothered looking them up in a fungi field guide because you can see that they are inedible. However, it seems that there’s an epilogue to the fable: King Alfred, so mortified was he that he’d burnt the housewife’s bread cakes, he scattered the fungal cakes to hide his mistake and embarrassment. 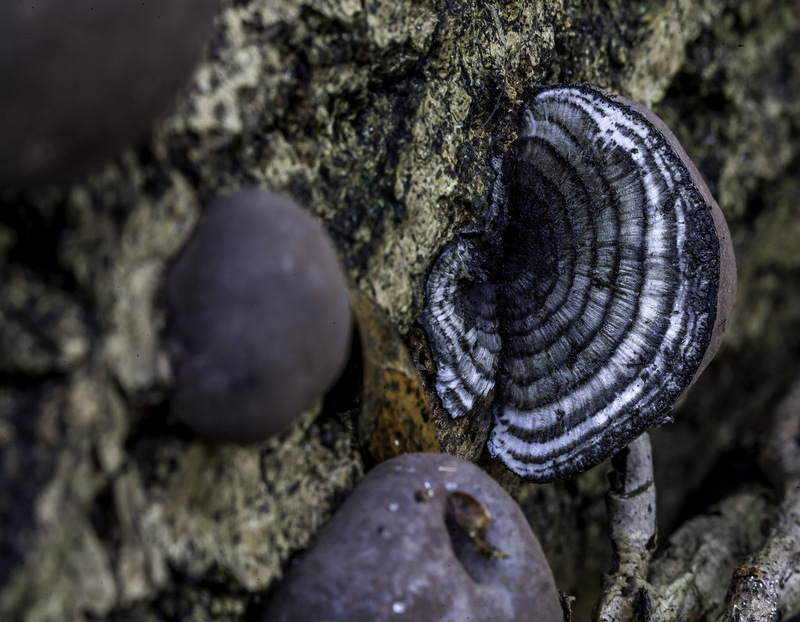 The fungus sprouts almost exclusively from dead elm trees and fallen branches, so keep an eye out in woods, as the chance that this fungus is present is very high, looking remarkably like small round charcoal briquettes. It doesn’t rot away quickly like most other fungi, but it sits on the dead wood getting darker and more coal-like with age. I’m not just posting about King Alfred’s cakes because of the link to the story, but also because they did (and do) have a use in the kitchen or fireside. The fungus’s fruiting bodies, when dry and brittle catch fire easily, but smoulder at a very slow rate, and as long as they are getting plenty of oxygen, one can use them to transplant fire from one location to another. Indeed, if enough are collected, they make excellent fuel in their own right. It is for this reason that the fungus is also called coal fungus. How ironic would it be if the herdsman’s wife had used the King Alfred cake fungus to light or fuel her fire that King Alfred went to burn the cakes on!? 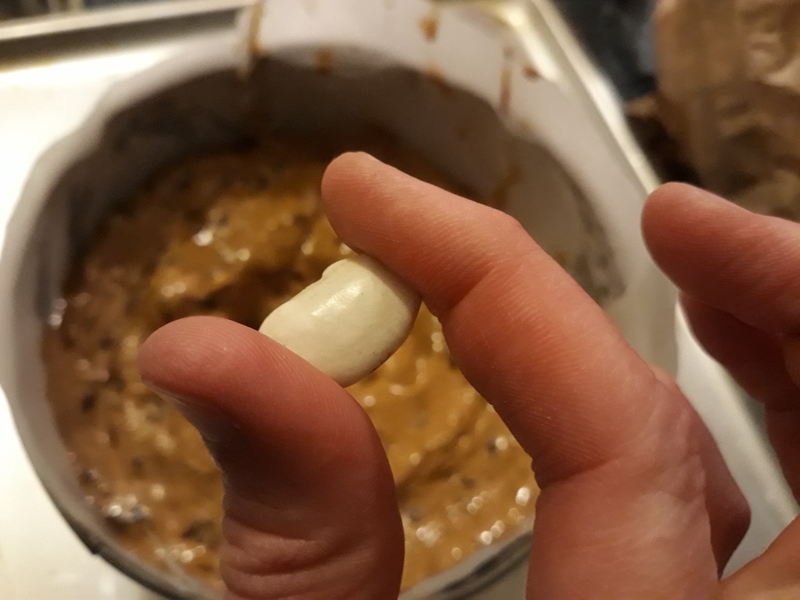 King Alfred’s cakes also go by the name of cramp balls, due to an old odd belief that carrying the fruiting bodies in your pocket alleviates cramp. 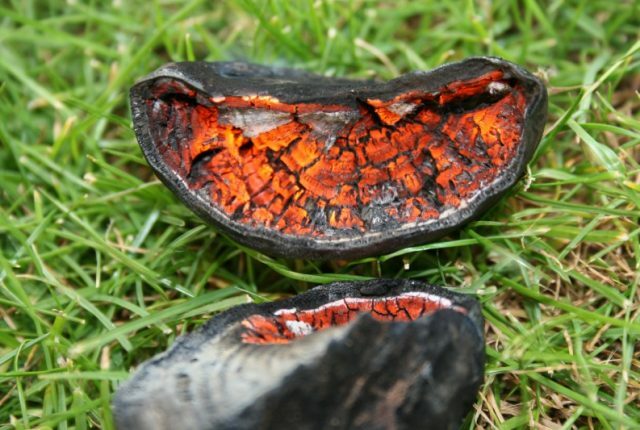 The scientific name for this type of fungus is Daldinia concentrica, so-called because of the dark and light concentric growth rings you can see if you crack one open. Fruiting bodies are usually between 1 and 5 cm in diameter but can sometimes grow much larger. Daldinia is found in deciduous woodland and is almost entirely present on the dead wood of ash trees, and since the ash is our third most common tree, the chances are you’ll have some of the fungus growing in woods near you. (Not sure what an ash tree looks like? No worries just click here for an excellent description). Old fruiting bodies are black, but when they first emerge, they are red-brown colour, only blackening when mature. King Alfred, exhausted and lost in the woods after beating the Danes in a vicious pitched battle, stumbles, bedraggled, upon a herdsman’s hut. 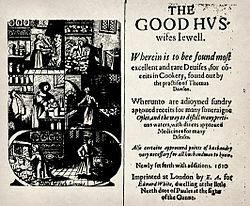 The huntsman’s wife invites him in, and not recognising him, just assumes he is merely a soldier of Wessex, not the King! She kindly offers him rest and nourishment, as she has just put some cakes in the embers of her fire to bake. It is assumed that this story is apocryphal, the earliest written example doesn’t appear until 300 years after the event, but I’m not so sure, it sounds like a story that would be passed down as gossip about the king. If it was made up years after the event, it would be a strange story to select; it’s not tale of derring-do, nor is it a tale of any religious significance. Is it supposed to tell us all how humble a man Alfred the Great was? What’s the moral – don’t bake cakes after pitched battle? It’s a lack of these elements, which usually appear in fantastical stories of early monarchs, that makes me think that it may be true. 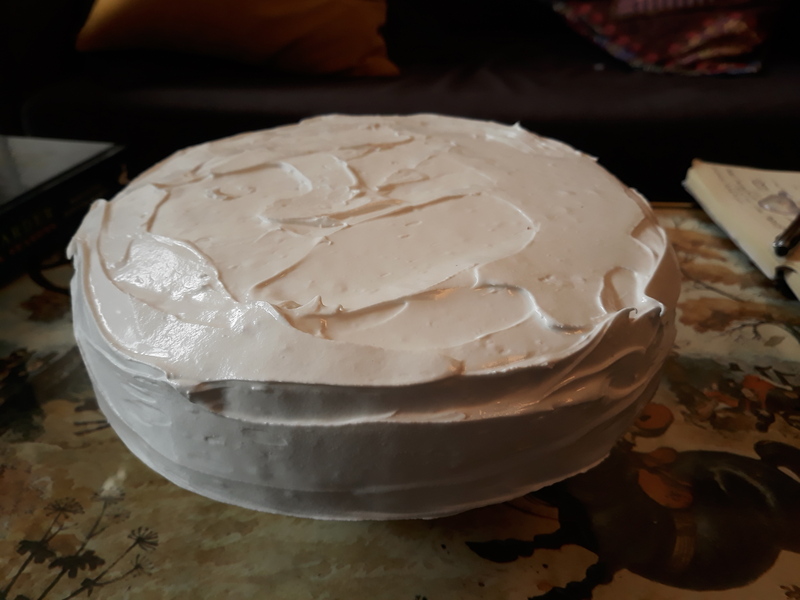 Well whatever the source of the tale and the reasons for its retelling, it is a story that is almost taken for granted, but I thought I’d take a closer look at the food in this story – what were these cakes, and how were they made? As with all food history, one needs to understand the broader historical context behind, serving as a backdrop to the food itself, setting the scene. King Alfred – who he? King Alfred was a late 8th Century Anglo-Saxon king, he wasn’t king of England, because England was not yet joined into one united cohesive country, Alfred was king of Wessex. The other kingdoms in England – Mercia, Northumbria and East Anglia and all been occupied and taken by the Danes, or if you prefer, the Vikings! The security of theKingdom of Wessex and its King sat on a knife edge, and pressure from the Danes moving into the kingdom had forced Alfred and his household to hide in the marshes of the Somerset Downs. An alternative version of the story of the cakes, says that Alfred, who so lost in thought and worry about his kingdom that he wandered into woods, got rather lost and happened upon the herdsman’s hut. Alfred plotted and planned and managed to communicate with his allies well enough to form an army. In the year 878 he fought the Danes at Edington, which he eventually won. It was in the aftermath of this battle that he discovered the herdsman’s hut. The Battle of Edington is one of the most important events in Anglo-Saxon history, because in the months afterwards, Alfred made a peace treaty with the Danes and forced them to convert to Christianity. Alfred had reclaimed Wessex and the Danes began to settle and assimilate with the Anglo-Saxons, making England a more cohesive place, indeed Alfred’s nephew Athelstan was the first King of all the Kingdom within England, uniting the kingdoms until his death. Ash-Baked Cakes – what they? For folk in mediaeval times, a home-baked loaf of bread was usually out of reach, most homes lacked a suitable oven and so relied on the oven (and skills) of local bakers. For those that lived in the futher fringes of the towns – such as herdsmen – it simply wasn’t viable to make the long trek into town, it was much easier to bake cakes on their fire. Cast iron equipment such as griddles or waffle irons, were expensive, so many had to bake little cakes of ground cereal grain (wheat, rye or oats) directly into the embers of their fires. Baking these cakes required both an eagle eye and excellent judgement – the outside needed to be just scorched, and the inside fluffy and warm. I must admit that I am not one for making fires or having barbeques, so I’ve not had the chance to have a go at making these devilishly difficult ember cakes. However, as soon as the opportunity arises I will, and I’ll report straight back to you guys!